As the cooler months settle in, now is the ideal time to get your winter vege garden underway, plant your bulbs for spring flowering and establish or repair your lawn. Autumn is the best time to plant new trees and shrubs so they can get established over the cooler, wetter winter months. Remove spent summer flowering annuals and plant your favourite winter flowers. For best results, prepare the soil by digging in Garden X Compost and Palmers General Garden Fertiliser. 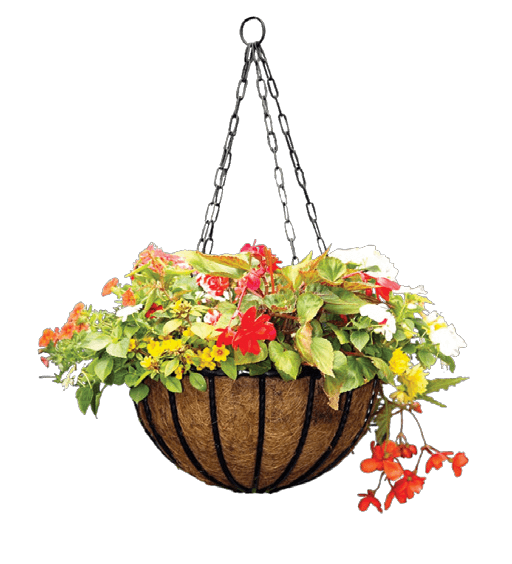 Brighten up your garden or patio by planting pots and hanging baskets with winter flowering annuals. Plant sweetpeas now in a sunny spot for Spring and Summer flowering. Sow seeds of Aquilegia, Alyssum, Calendula, Cineraria, Cornflower, Dianthus, English Daisy, Godetia, Linaria, Livingstone Daisy, Lobelia, Lupin, Nemesia, Snapdragon, Statice and Viola. There’s still time to get your Spring bulbs planted. We have all your favourites in store along with specialist bulb food and bulb mix. Trim back all summer perennials when flowering has finished. These can be dug up, divided and replanted, or just wait for them to resprout back in Spring. Prune back flowering hydrangeas and hebes that have finished flowering. Dead head established roses and start planning for your new season roses. These will begin arriving in late May so prepare new planting sites now with Palmers Garden X Compost. Refresh your herb garden with parsley, winter mint, chives, rosemary and other winter herbs from Palmers seasonal range. Once all fruit trees are harvested, spray pip and stone fruit trees with Free Flow Copper to protect against leaf curl, leaf blight, leaf spots, downy mildew, black spot and verrucosis. Harvest the last of your late summer veges, pumpkins, marrows, potatoes and onions, and store them in a cool dry place. A raised vegetable bed in winter helps with drainage and can also improve growth as soil in raised beds warms with the winter sun. A layer of mulch will also help keep soil temperatures warm. Giving your winter vege patch a rest over winter? Add nutrients back in the soil by sowing a crop of blue lupin or mustard seed which adds nitrogen and improves soil structure. Feed citrus trees with Palmers Citrus tree fertiliser to promote strong healthy Autumn growth. Transplant winter seedlings or sow seeds of beetroot, broccoli, broad beans, cabbage, cauliflower, carrots, onions, radish, spinach, swedes and turnips directly into your garden bed. This is the best month for sowing a new lawn or repairing your existing. We have a great range of lawn seed from hardwearing for playgrounds to easy care. Mix in Saturaid with your lawn seed and spread over the area, this will improve water penetration through the soil and reduce dry patches.